View! View! View! 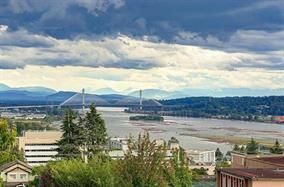 Penthouse like views of the Fraser River, the city and mountains from this low maintenance 33' x 112' corner lot. 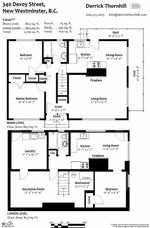 This home features 2 bedrooms on the main floor plus 1 bdrm suite downstairs ($700/per month). 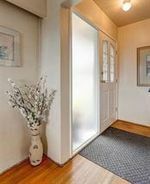 Main floor has hardwood floors, wood burning fireplace, newer fridge & stove, and updated bath. Basement has new laminate floors, fireplace, shared laundry & workshop. Single garage, lane, newer roof, hedged backyard with view. Watch your children cross the street to Sir Richard McBride Elementary School in the morning. Great starter or downsizer's home or build a 1800 sq. ft. new home on this view lot. Walk to the Brewery District for shopping, dining and rapid transit lines. Make this established family neighbourhood in upper Sapperton your home!